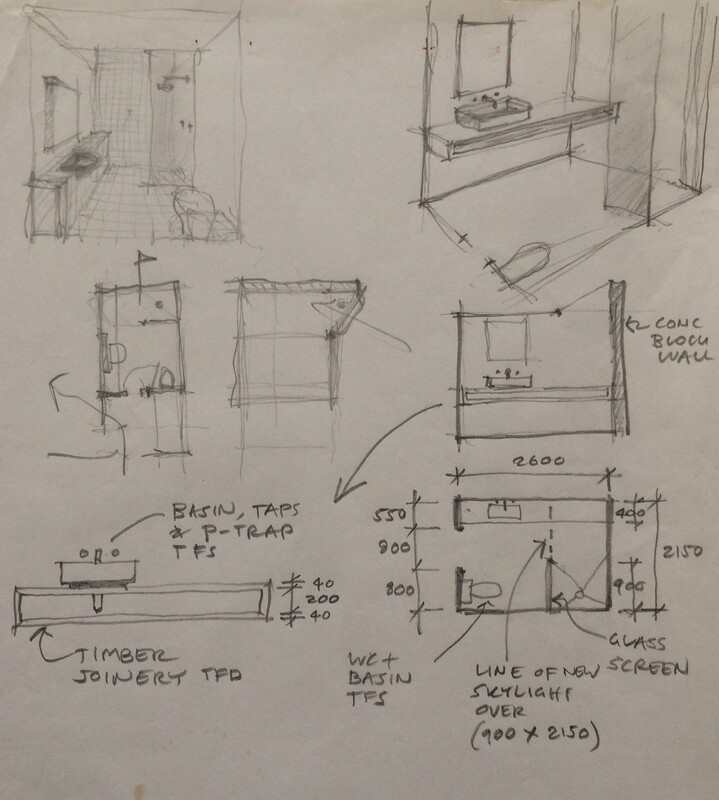 Our design for a new bathroom for an old bach by a lake in New Zealand. 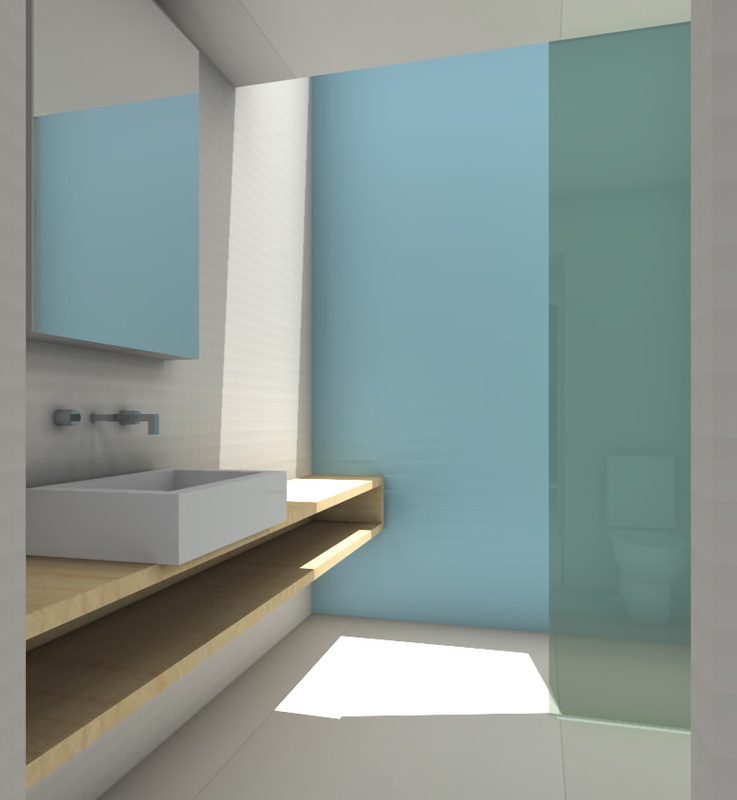 The existing bathroom has no windows to the outside and receives its light and ventilation via a skylight over the shower. We’ve matched the colours with some inexpensive ceramic tiles (from the local tile shop) to try out different colour schemes in our renderings. 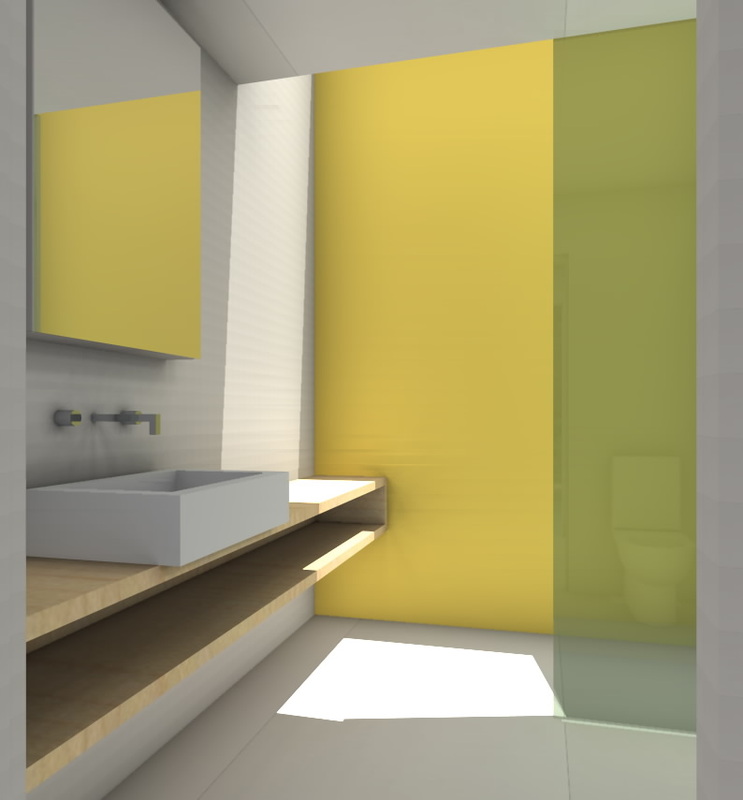 Here are three of the colour schemes that we've tested using the available ceramic tiles - "Cinca Carribean", "Cinca May Green" and "Cinca Yellow" version.